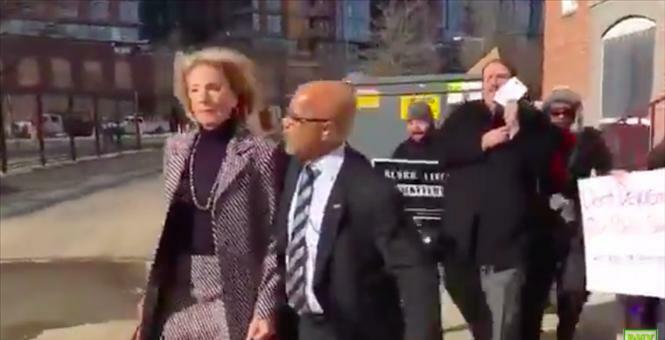 A few moments ago, I watched a video showing protesters blocking Secretary of Education Betsy DeVos from entering a public school--a school where she was scheduled to attend a meeting with educators. 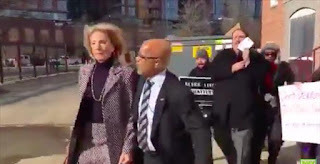 The video clip wasn't long but I saw one guy shouting at her and I saw someone trying to block Secretary DeVos's vehicle as she was being driven away. You should watch this video. In only a matter of weeks, Washington DC has turned into a giant kindergarten. I suppose President Trump bears part of the blame. He has a distressing tendency to lash out at his detractors with tweet messages that only give his most unreasonable critics publicity and credibility. I wish he would take the high road and simply ignore his hysterical attackers. But I blame the Democrats for plunging political discourse to the level of a playschool. The Democrats behaved like children during the nomination process for President Trump's cabinet choices. Why did they do that, knowing that the President had the votes to get them all confirmed? It would be hard to choose the chief tantrum thrower, but I give my vote to Senator Elizabeth Warren. She showed a shocking level of immaturity when she insinuated on the floor of the Senate that Jeff Sessions, one of her colleagues, is a racist. A lot of people are upset about Donald Trump being our President. I understand that. But disappointment is no reason for political leaders to jettison civility in public discourse. What will that accomplish? Furthermore, I believe there is bipartisan support around solving several important public policy problems. 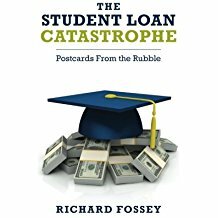 As I have already written, surely everyone from Senator Mitch McConnell to Congresswoman Nancy Pelosi can agree that the government should not be garnishing the Social Security checks of elderly student-loan defaulter.s And if I'm right about that, why can't Republicans and Democrats unite around the McCaskill-Warren bill to stop that practice? Over my lifetime, I have dealt with a lot of people who behaved boorishly toward me, tried to bully me, or behaved deceitfully toward me; and those people upset me. But I learned that I was always better off to retain my dignity and to respond to unprofessional behavior in a reasonable and straightforward manner. Trump's detractors seem to think that behaving like kindergarten children is the appropriate way to show their dissatisfaction with the 2016 election results. But they are wrong. If the Democrats don't pull themselves together and begin to behave like grownups, this nation is headed for real trouble--and I don't mean just political trouble. Your place is for definite couturier bookmarking.